One hallmark of a professionally made cakes is expert presentation--the frosting is immaculate, everything's in perfect place. 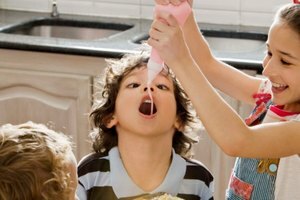 A homemade cake, on the other hand, can appear less than perfect because while icing, fragments and crumbs find their way into the frosting, leaving it lumpy or freckled with cake bits. 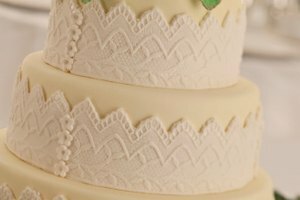 It's possible to achieve the pristine, crumb-free results characteristic of professional cakes at home simply by following the same tips and techniques used by professional bakers. Using chilled cakes and applying a crumb coat will keep the cake's final appearance smooth and crumble-free. After baking, turn the cake out of its baking pan and allow it to cool to room temperature before refrigerating. Next, refrigerate for four to six hours. A chilled cake holds together better than a room-temperature or warm one, and fewer crumbs will lift from the cake's surface during frosting. Tip: Don't flour pans heavily before baking, as this creates excess crumbs. 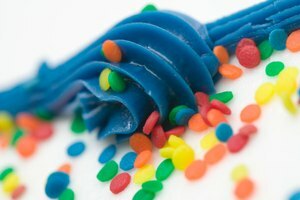 Remove the cake from the refrigerator and gently sweep away loose crumbs from its surface. Use a light touch; the purpose is to remove any barely attached crumbs, not stir up new ones. You can save the crumbs that the cake sheds for topping, or discard. Add 1 to 2 tbsp. of frosting to the center of the serving plate, then transfer the cake to the serving plate. Press the cake lightly until it sticks securely to the plate. 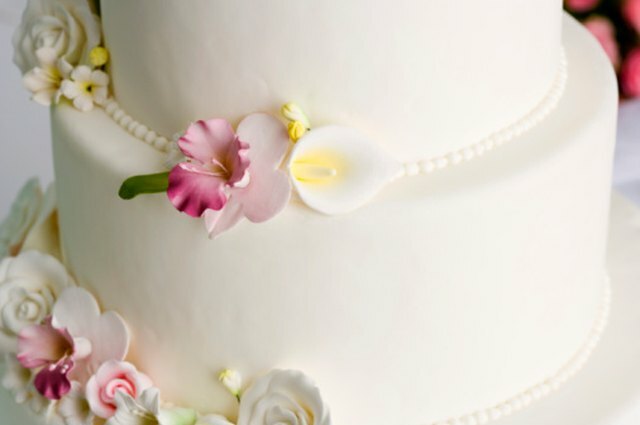 This dollop of icing acts as a glue to hold the cake in place during frosting. If your cake is multi-layered, spread the filler frosting across the top of the bottom layer. Add successive layers in the same fashion, frosting the top of each layer before placing the next. For the bottom layers appearance isn't as critical, as they won't be visible. Skip this step if the finished cake has one layer. Set the assembled cake and plate on a turntable or lazy Susan. A turntable allows the the cake to move under the spatula instead of forcing you to move the spatula over the cake and risk tearing away pieces of cake. Mix 1 to 2 tbsp. of water with sufficient frosting to make a thin but workable paste, slightly thicker than pancake batter. 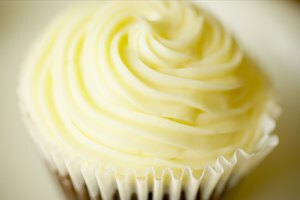 This thinned frosting is the basis of the crumb coat, an inner layer of frosting that traps crumbs so they won't mar the cake's appearance. The amount of water and frosting the crumb coat needs depends on the size of the cake, the ambient temperature and the humidity. Apply the diluted frosting in a thin layer; keep the application even and light. 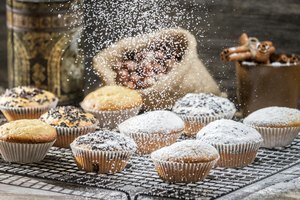 If crumbs appear in the frosting, leave them-- they'll remain trapped in the crumb coating and will not migrate to the outer layer of smooth frosting. Refrigerate the cake for another hour or two if possible to let the crumb coat set. The crumb coat should become firm to the touch, giving the outer layer of frosting a solid foundation on which to glide. After its surface sets, apply a generous amount of frosting to the top of the crumb-coated cake. Move the cake under the spatula rather than maneuvering the spatula across the cake - this will minimize stress on the cake's interior. 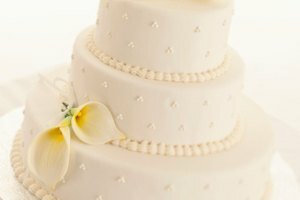 Tip: Work with room temperature frosting - refrigerated frosting is too stiff and may tear delicate cakes during application. Frost the sides of the cake with additional icing, using liberal portions of frosting. This will allow the spatula to glide freely across the cake. Remove excess frosting from the sides of the cake, leaving the surface smooth. Hold the clean spatula parallel to the cake's side and spin the turntable slowly to move the cake beneath the spatula. Wipe off excess frosting as it collects on the spatula's surface. Homemade frosting works well for crumb coats; pre-made frosting may take longer to set firmly. Chocolate cakes tend to crumble more, and require a sturdier crumb coat. Moist cakes such as pudding cakes are more tender; make sure that they chill sufficiently to stay together while frosting. Don't flour pans heavily before baking, as this makes extra crumbs to remove later.